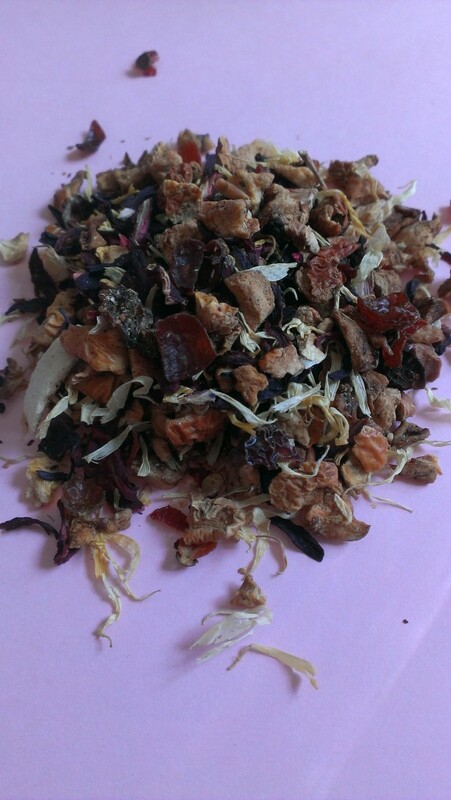 Strawberry and lemon flavor this herbal tea. Delicious lemonade -like flavor is enhanced with a pinch of sugar. Excellent iced. 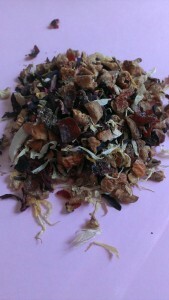 Loose leaf herbal tea. Naturally caffeine free. $7.50 for 2 oz.